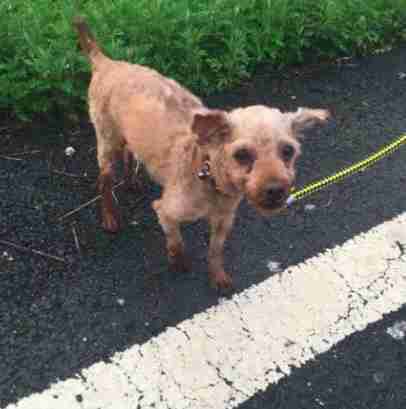 When rescuers first met Willow the poodle in August 2016, it was hard to believe that he had been someone’s pet. With dirty hair filled with mats and all his teeth rotting out, it was clear no one had cared about him for a long time. 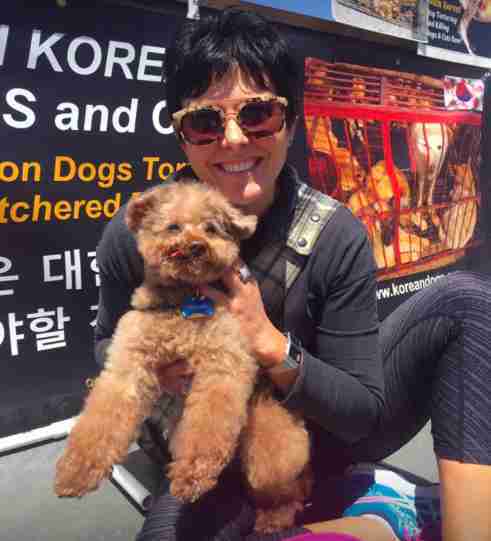 After years of neglect, Willow’s owners no longer wanted him because he was getting too old — so they dropped him off at a dog meat farm in South Korea. He was about 11 years old. Like factory farms, dog farms often house large numbers of animals in cramped, barren quarters with very little access to food or water — causing the dogs a lifetime of abuse and suffering before they are slaughtered. Although public support for the industry has been decreasing, the Animal Welfare Institute estimates nearly 2 million dogs are still killed for food in South Korea each year. Heather Heath, a longtime animal advocate from Las Vegas, Nevada, knew as soon as she saw Willow’s photo that he was special — and most importantly, that he mattered. 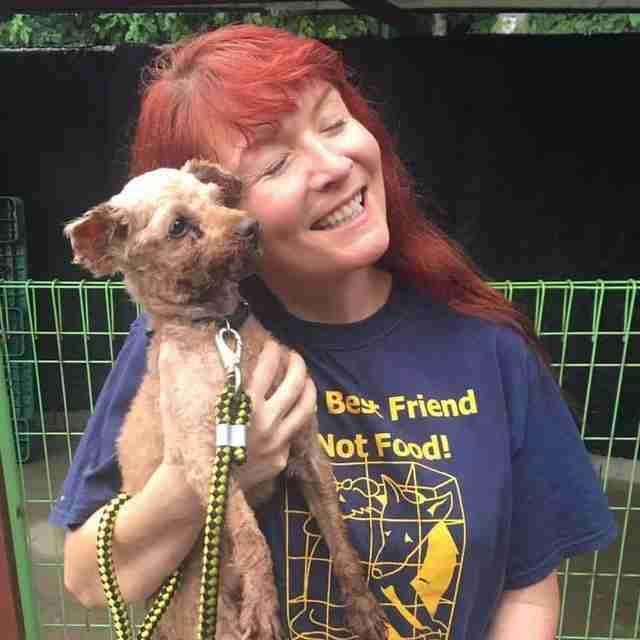 Heath had long been involved with campaigns against Asia’s dog meat industry, but Willow’s story hit her especially hard. 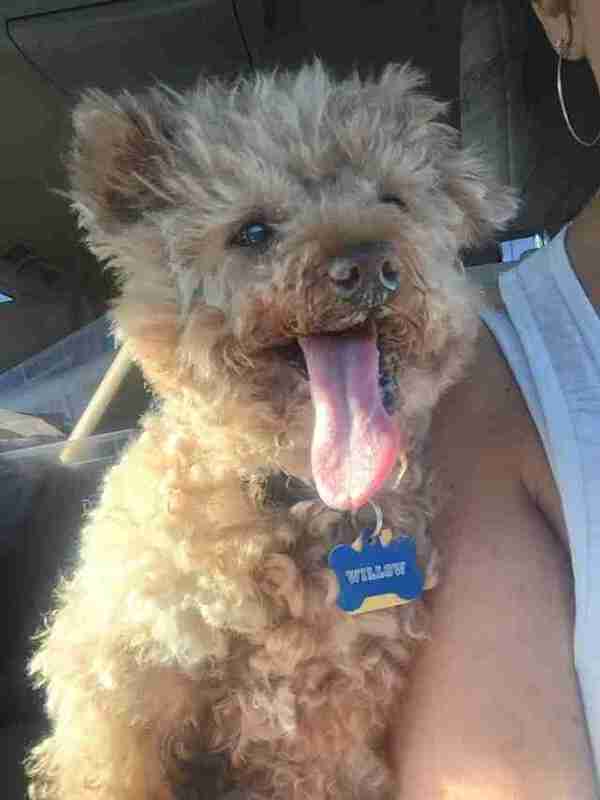 In addition to the mats and rotted teeth, Willow’s tongue was infected and he was underweight. 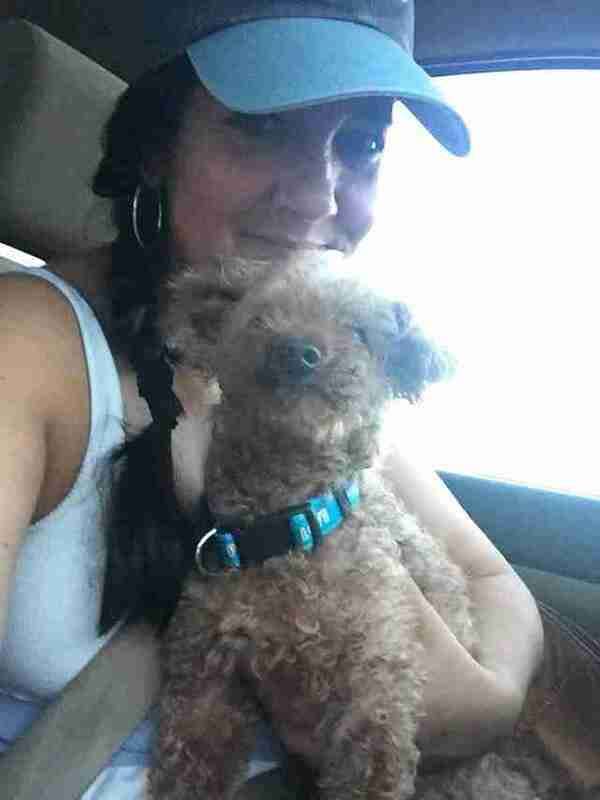 It took a month of vet care and love in Korea, but by the end of September he and another dog, named after Nami, were on their way to the United States to start their new lives with Heath. Knowing everything Willow had endured, Heath wasn’t entirely sure what to expect when she finally met him — but despite it all, he had the most friendly, exuberant personality. Willow quickly settled into Heath’s home — and now he can often be found scouring the kitchen for a snack or cuddling into his mom’s bed pillows. Even though he’s around 13 years old, his zest for life is huge. 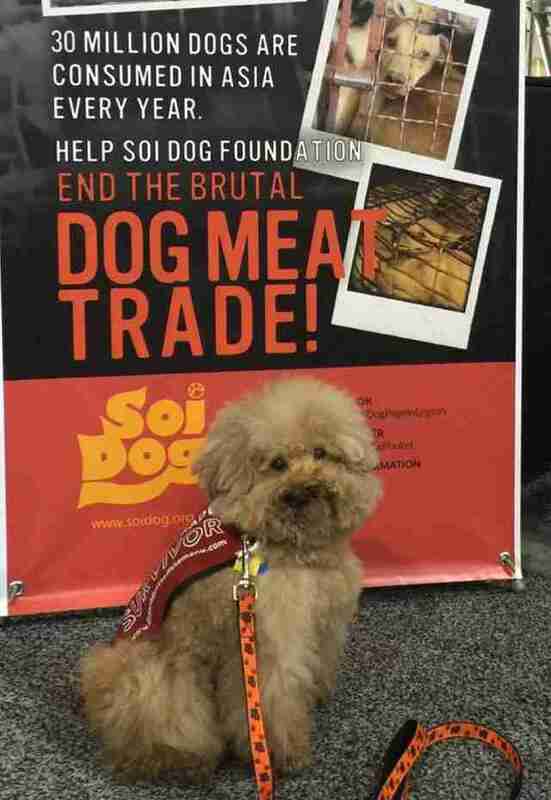 Willow’s new life as a treasured family member also marks his important role as an ambassador for the movement to end the dog meat trade. Heath created a Facebook page for him, I Am Willow, last year to document their campaign work. Willow is also in the running for a Hero Dog award, which recognizes dogs who are making a difference for humans and other animals. He recently became the mascot for the animal rights club at Heath’s daughter’s school. 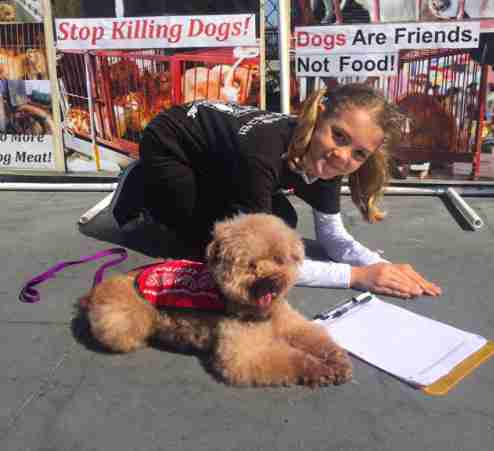 Willow and Heath regularly attend demonstrations together across the West Coast to raise awareness about the trade and share how people can make a difference for the dogs. 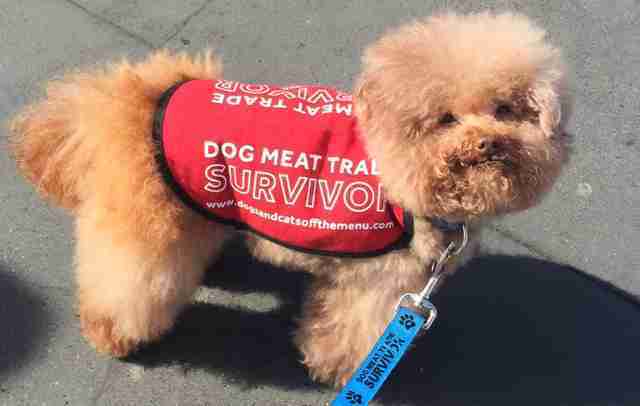 He also wears a red jacket that has “Dog Meat Trade Survivor” printed on the sides wherever he goes. “People pay attention to him anyway because he’s so cute, but then when they read the jacket they always ask a lot of questions,” Heath said. Being so involved in raising awareness about the issue, Heath admits that it can be trying — but seeing Willow’s happiness around people, and how much he does for them in return, is the best reward. 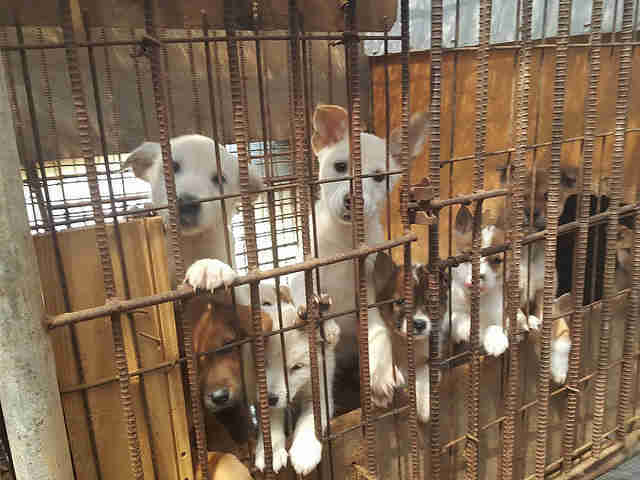 To support the work of Save Korean Dogs, you can make a donation. 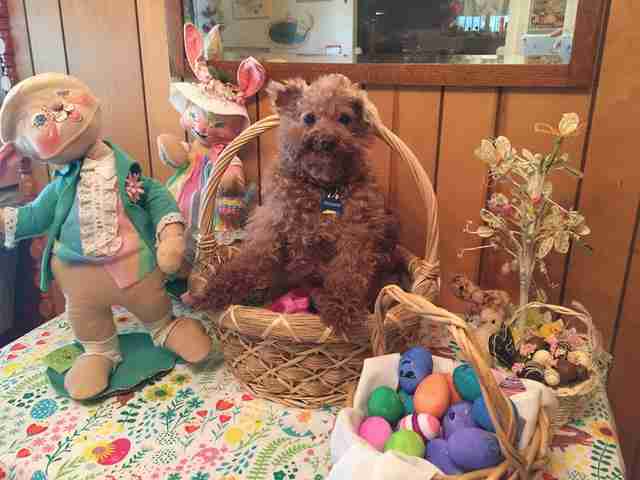 To keep up with Willow’s adventures, you can follow him on Facebook.